your child has a cavity but ...no filling? Dr. Ledenyi practices conservative dental treatment and only does fillings when they are absolutely needed. With his specialty training, focus on prevention and continuing education, Dr. Ledenyi designs treatment plans that may be different from other dentists. He does not want to put your child through any procedures unless they are necessary for your child’s health. 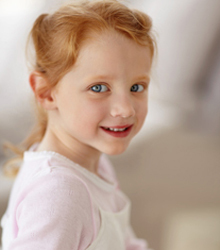 There is a condition that puts your child's dental health at risk but is not causing problems at the time of the exam. The decay (incipient decay) will likely be slow enough to not cause problems before the tooth naturally falls out as your child ages. Dr. Ledenyi makes recommendations on how to help slow down – hopefully stop – the rate of decay. How fast decay progresses depends on several factors, several of which are controllable. They need to be monitored over time. With proper treatment, we can often keep the cavity from causing problems by following his recommendations. It is absolutely essential you follow recommendations and keep regularly scheduled dental visits. This way we can do our part to “watch” the tooth or make adjustments in your child’s treatment plan if needed. Cavities are contagious bacterial infections of the tooth. Some bacteria are more aggressive than others. Since we do not know which bacteria your child has at the time of assessment or what kind they may be exposed to later (by sharing food/utensils/drinks, kisses), we must make changes in diet, in oral hygiene and keep recommended appointments. SO… your child has a cavity but is not getting a filling. Phew – right? Please follow recommendations and call us if you ever have questions or concerns regarding a “watch” or any other dental health issue your child may have. Active Surveillance is an important component of conservative, pro-active pediatric dentistry that takes a team to be successful. This means that not all children are candidates for Active Surveillance if, for whatever reason, recommendations cannot be followed consistently. We value working with you as a team to keep your child healthy!